If you were to ask me, and that's assuming you somehow didn't already know, I'd happily tell you, and perhaps argue with you, that the 1980s proved not only to be the best years for BMW's design, but for car design as a whole. From here, I can hear gasps, and before long, the clicking and clacking of keyboards typing out in disagreement, but you won't convince me otherwise. If, over the past 8 years, you somehow missed the obvious, I have a very heavy bias, although an admitted one. 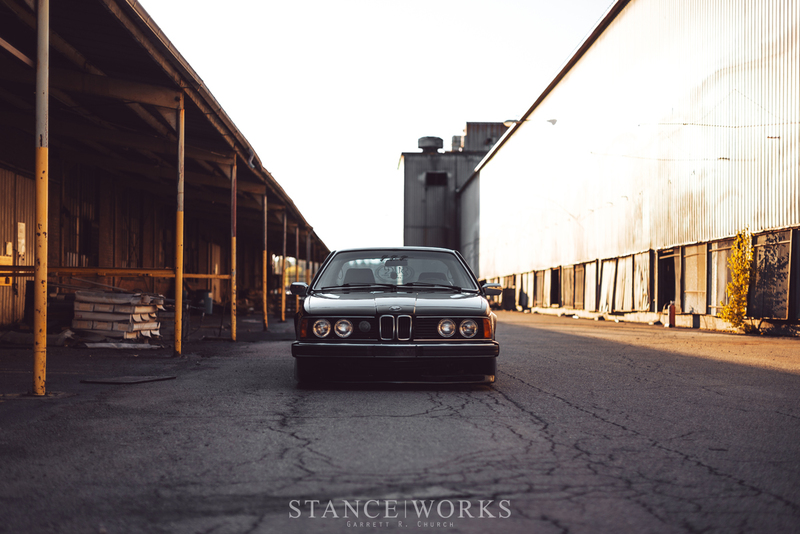 I think the E28 fully and completely captures the spirit of a sedan, and the E30 does its part to establish exactly what a small, economic coupe should be. 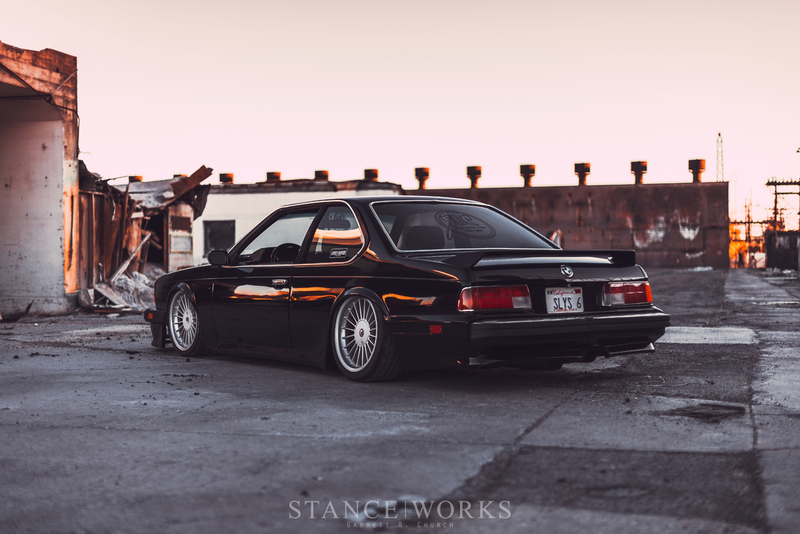 The E24 and its lines that seemingly stretch for miles perfectly define the concept of the grand touring coupe, and Alvin Louie has done his part to build upon everything that makes the E24 undeniably unique in the world of car design. 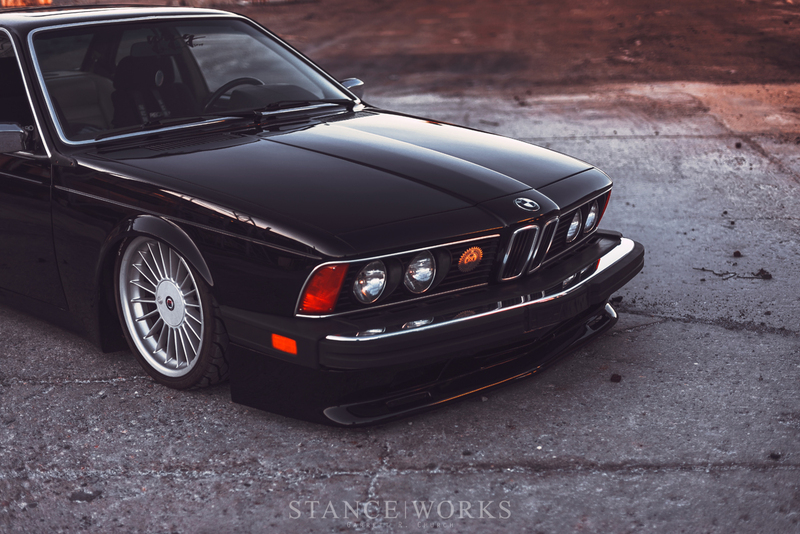 Despite sharing its "chassis" with the E12, and then the E28, the E24 6-series is a car all its own. It shares an incredible amount in terms of design language with its brethren; clearly siblings in every right. 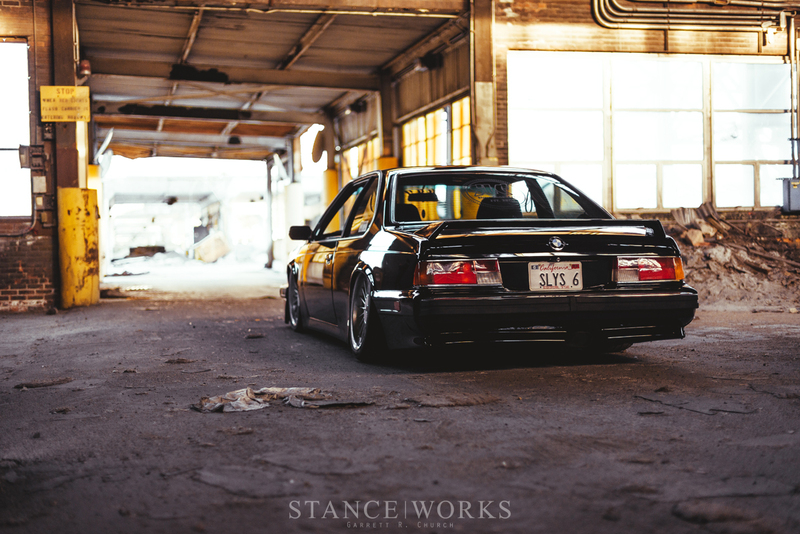 However, it can't be said that the E24 is merely a coupe version of the E28 - its lines, its presence, and its character all manifest into a car that is unique, even to its competition. 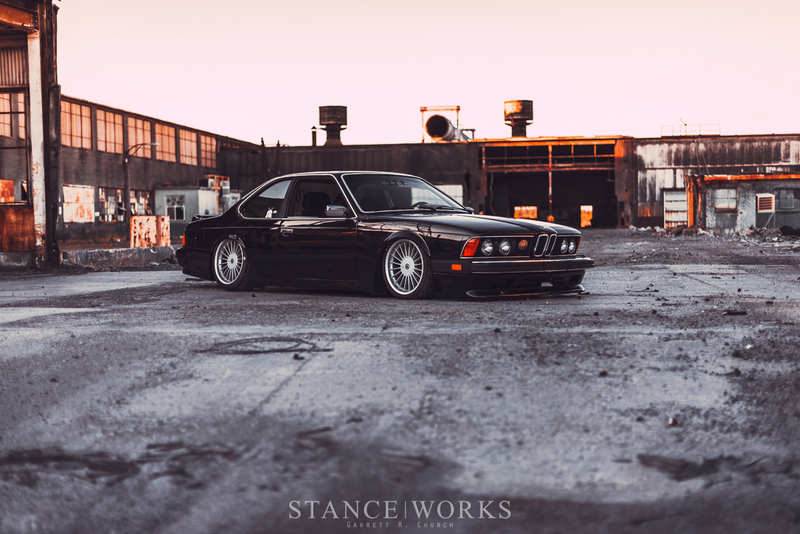 It's a clear and successful evolution of the beloved E9 coupe, carrying on a lineage of Grand Touring cars - in fact, it may be one of the most quintessential examples of the breed. As a GT car, it's built as a hybrid between luxury and performance, which continues to define BMW as a brand to this very day. 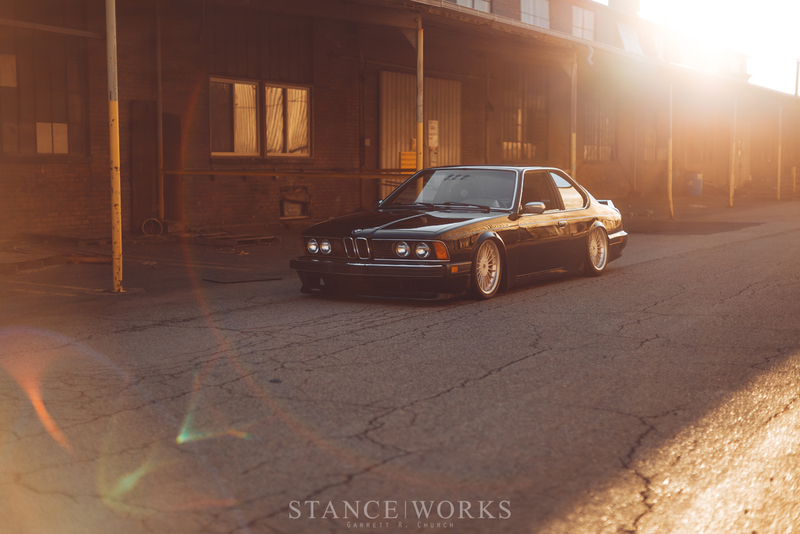 The E24's handling prowess is matched by the power of its throaty 3.4-liter inline six, and its amenities leave nothing to be desired, at least when introduced 40 years ago. Alvin Louie's Dinan-prepped example builds upon these characteristics with a dash of his own style, and as a result, we're confident you'll like it as much as we do. At first glance, it's clear something is different about Alvin's touring coupe, and it may be the fact that it sits flat on the ground, elongating its already-lenghty stature even further from a visual standpoint. The car's "shark out of water" style is given more weight than ever before. 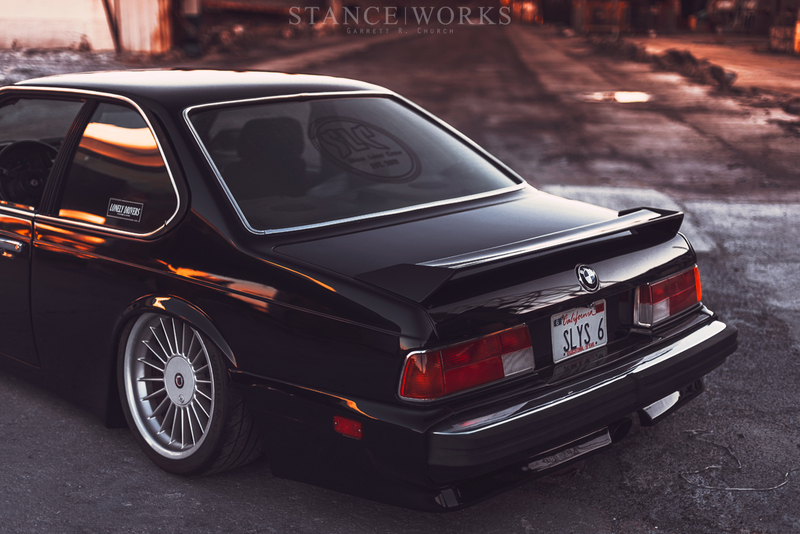 Sitting atop Air Lift Performance struts and management, the car hovers gracefully above the ground, and shrouds a set of sizable Alpina Softlines behind the fenders. Those changes, however, are obvious, and it's the subtleties that make Alvin's car shine. Wrapping around the perimeter of the car is an original Racing Dynamics body kit, which adds a bit of aggression to the car's lower half, and brings the car even closer to the tarmac. The kit is bridged front to rear by the car's elongated doors which no longer sport their door trim: the car's sides are now bare and soaked in the rich, gloss black paint. 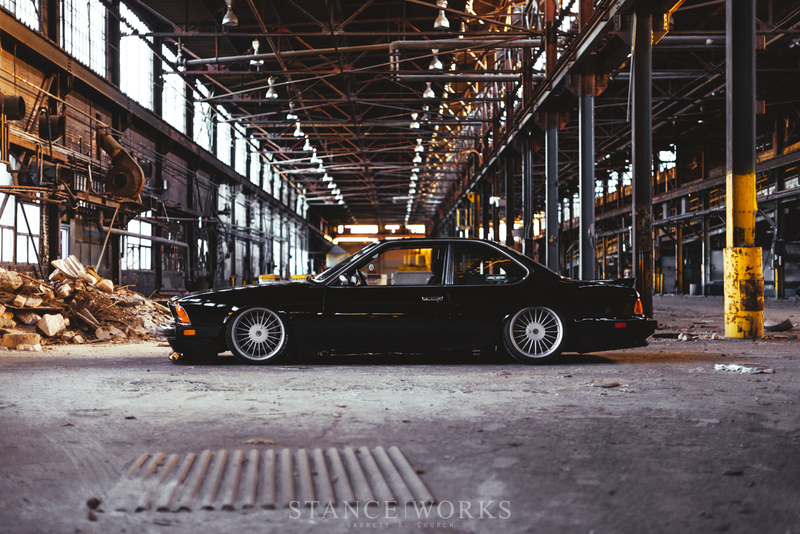 The molded fender and side skirts also help to slicken-up the side of the slab, and give a slight nod to the E9's similar structure. 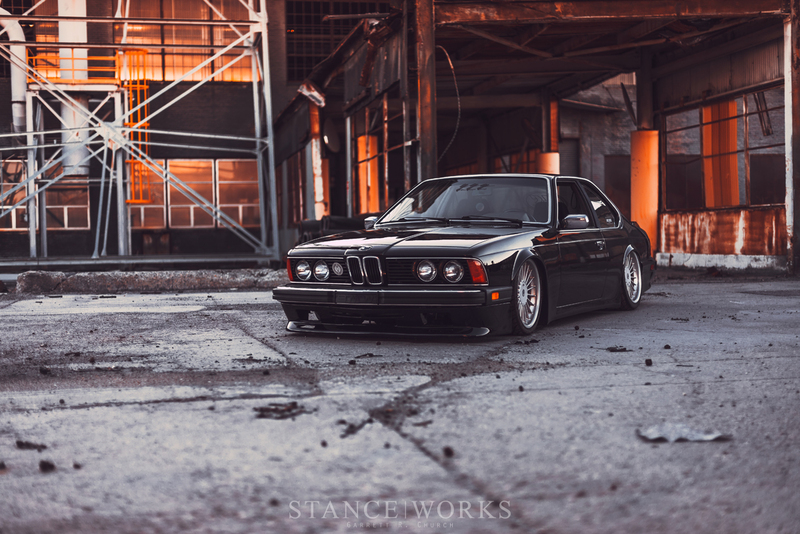 The E24's chrome trim, mirrors, bumpers, and grille surround help to break up the shadows and define the car's iconic shape. Under the hood, the Dinan badge is backed up by a lightly-built 3.4-liter M30. A 288/280 Schrick cam is the car's centerpiece, and is all that's needed to add both bark and bite to the classic lump's capabilities, and the car runs on an Split Second ARC2 Maf Wideband setup. There's more to come, too, with a full cage and a tubed front end once the winter passes by, suggesting that Alvin may have plans for track duty as well. 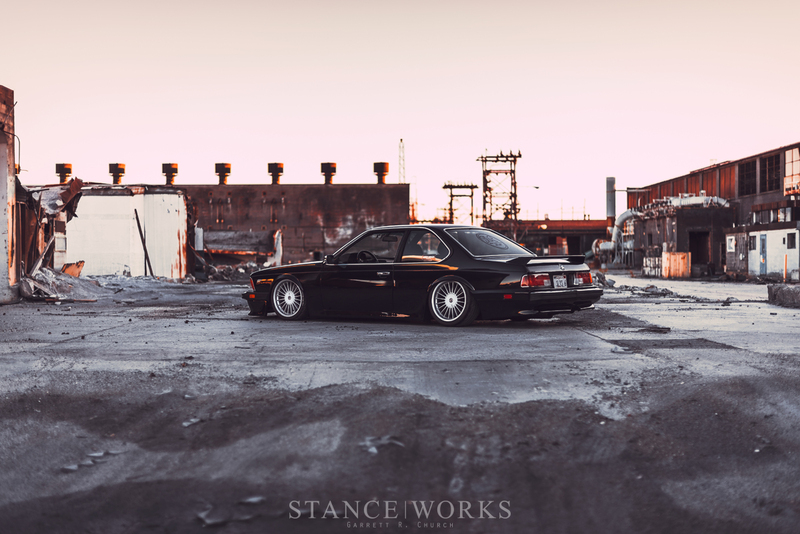 As the sum of its parts, Alvin Louie's E24 635CSi makes for a great take on a classic, bringing it into the 21st century with regard to styling, without forgetting its roots. Classic wheels and a classic body kit bring forth a classically styled car, but when paired with its stature and its shaved-down sides, it feels right at home in the S|W Community. I agree with you. The E23, 24, 28, 30, 32, 34 are my favorite Chassis. 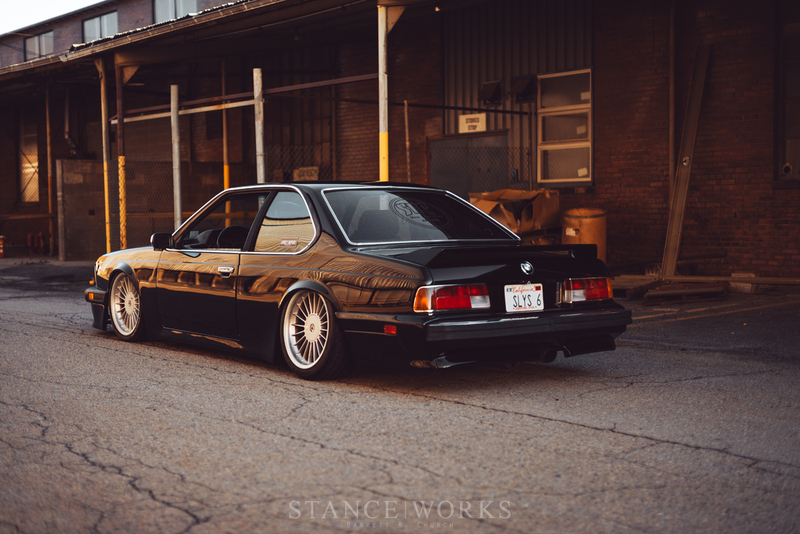 The 80s-90s were the pinnacle of BMW Design in my opinion!